Sajani self photo, originally uploaded by DarkFibre. The Living Goddess at DocFest. It will be shown again at 5 pm on Saturday, October 6th and Sunday, October 7th at the Roxie. 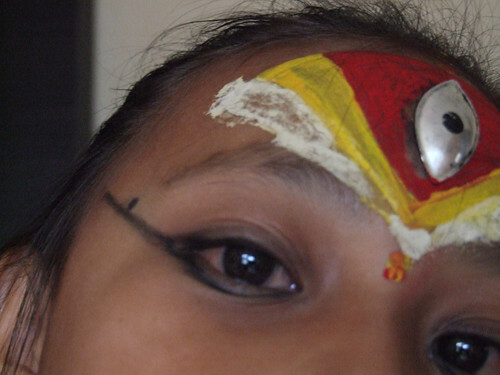 The films tells the fascinating story of one of the child goddesses of Nepal at a time of mass protests for democracy. In June, Andy Carvin met Sajani, the subject of the film when she was in the US for Silverdocs, and he interviewed her by email in September. There are photos taken during her visit and the filming. The political process in Nepal is again in the news, and seeing this film gives the headlines a human perspective.